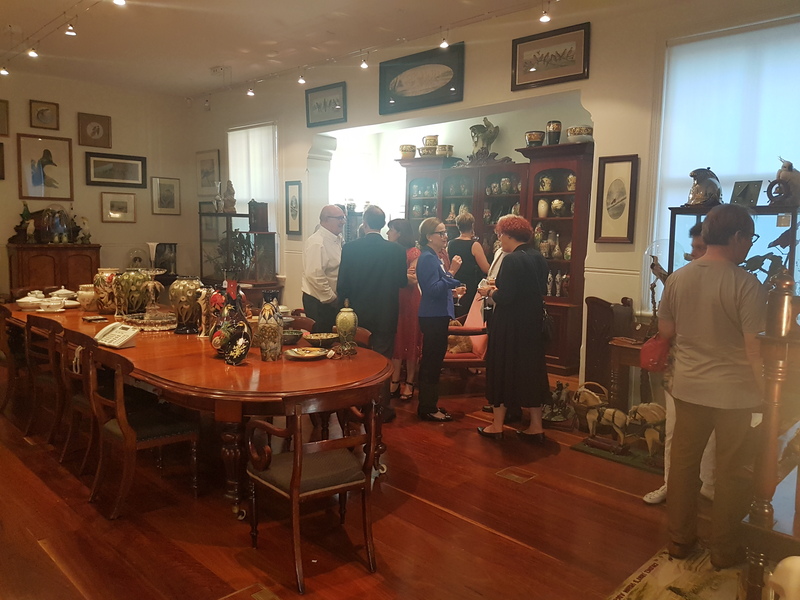 TREVOR KENNEDY GAVE PRIVATE ACCESS TO VIEW HIS COLLECTION OF MOORCROFT POTTERY AND AUSTRALIANA IN THE LEAD-UP TO AUCTION OF THE ARTISTIC ITEMS THIS YEAR. 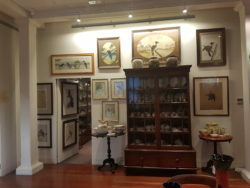 As former editor of The Bulletin magazine, Trevor Kennedy was well-placed to access information on a range of Australiana and international art items available for purchase. Kennedy’s Millers’ Point collection is testimony to his passion for ceramics of great worth. 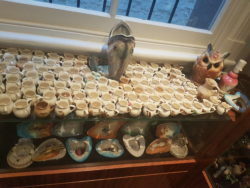 His collection of William Moorcroft ceramics and Ma Mahood pottery is extensive. 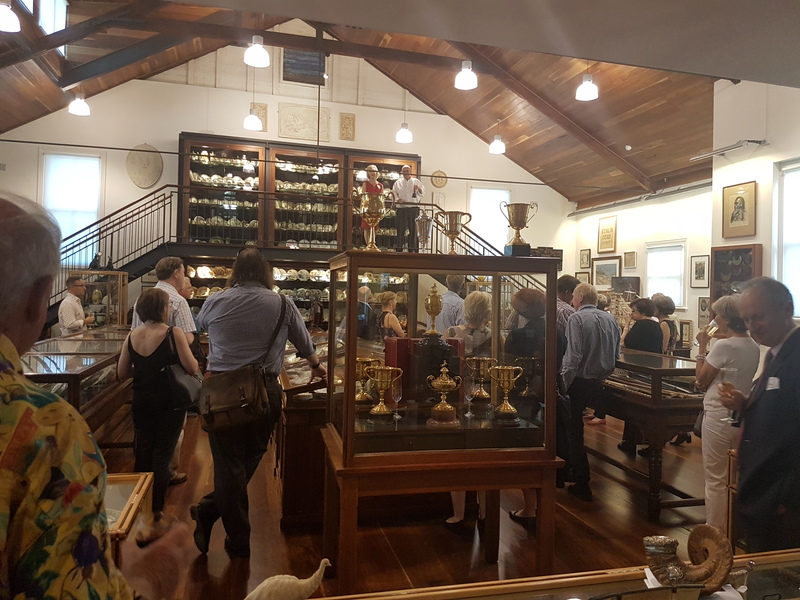 Members of the Australiana Society were offered a rare opportunity to view the Trevor Kennedy Collection in private before items went ‘under the hammer’. 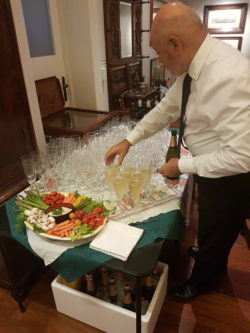 The ticketed, members-only event, at $90 per head, attracted more than 40 Australiana Society members from most states and territories in Australia. 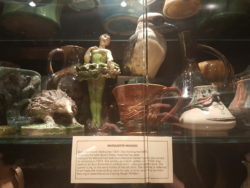 A particular favourite with the guests was the collection of Maritime by Moorcroft. The Trevor Kennedy Collection has been housed at 24 Kent Street, Millers Point was a Methodist home which Kennedy took on 10 years ago after closing his office in Argyle Place in the Rocks area of Sydney. There are three floors of Australiana in this building which Kennedy says is “pretty crazy stuff”. But it is an indication of his determination and passion for beauty and art. Kennedy says it took him five years to gain approval through the Heritage Council and other government entities to improve the innards of the building. There is a state-of-the art lift system installed which takes the burden off old wooden stairs to carry the load of curatorial movements. Kennedy was brought up in Albany, Western Australia. As a hobby, perhaps to counter the effects of working in the media, and with other media moguls, he developed a consuming interest in Australian pottery and ceramics. It is a stunning collection. His Moorcroft glazed pottery is one of the signature attractions of the collection. His collection of ceramic Kookaburras and Cockatoos is stunning. 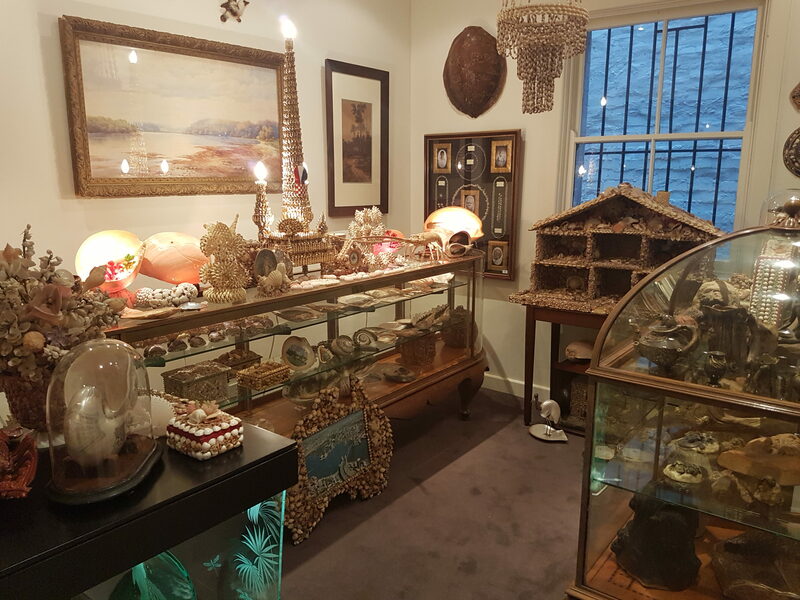 “There are some great treasures but also a lot of junk…You’d be appalled…” he says laughing. Kennedy says his family does not have the same level of passion but after 40 years of collecting experience cannot be replaced. After his 75 summers, Kennedy says “the auction is a test case”. It’s the first time he’s been prepared to let go of his treasured possessions. 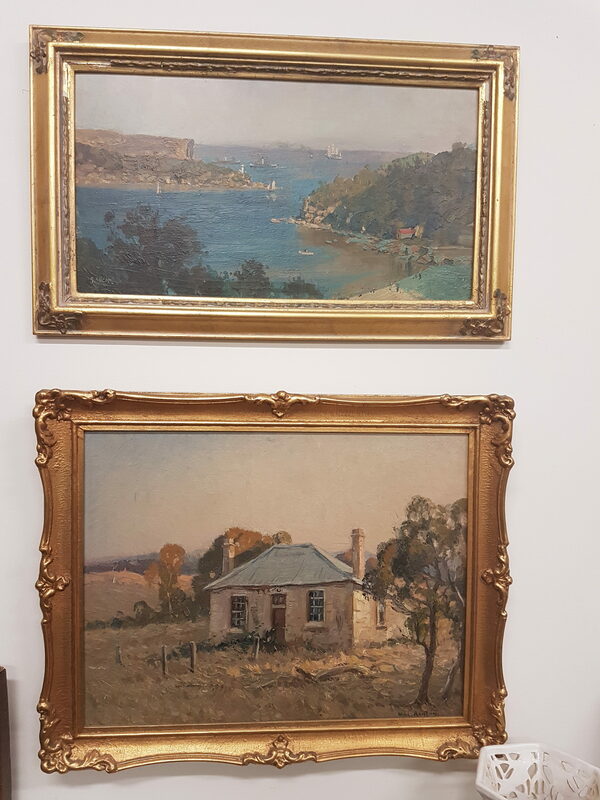 The first auction through MossGreen of Woollahra, Sydney took place on 18 February 2017. Kennedy says he intends to auction other parts of the Trevor Kennedy Collection at a later date. A copy of the handsome Trevor Kennedy Collection catalogue was provided to invited guests at the private viewing. It also has a section on Trevor Kennedy’s details. The items up for auction with MossGreen in late February 2017 was the first tranche of an extensive sale of the Collection. 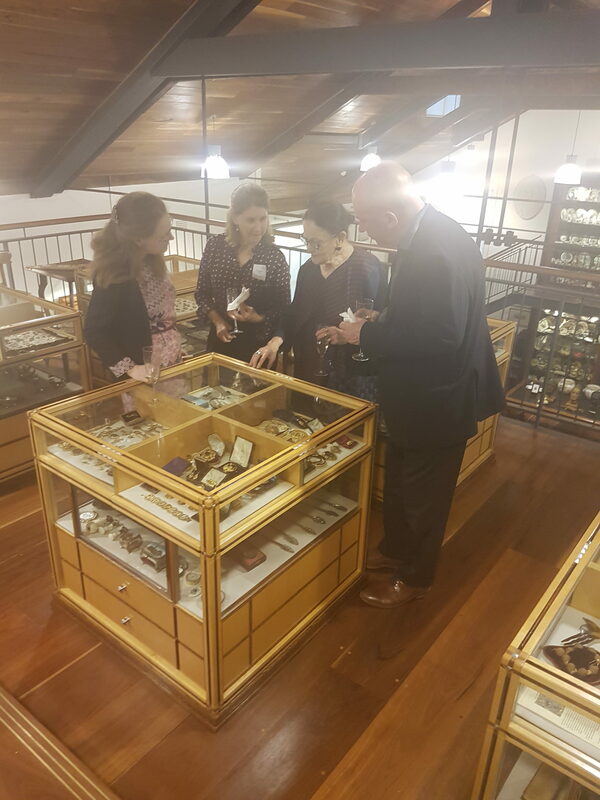 The Australiana Society is very fortunate to once again have the opportunity to view the Trevor Kennedy Collection. 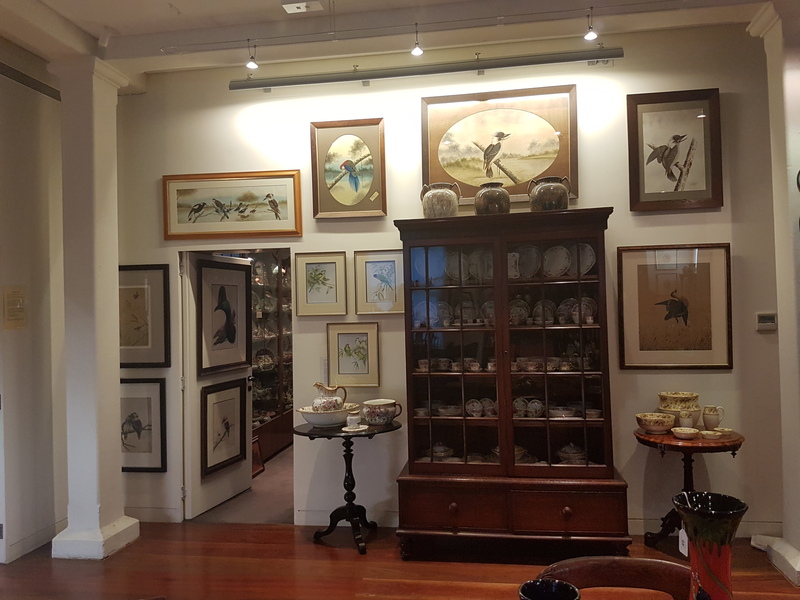 The Trevor Kennedy Collection is arguably the most comprehensive collection of Australiana, including jewellery, furniture, ceramics, woodcarving, metalwork and taxidermy. This will be the last opportunity to view the entire collection housed in its home as the collection is scheduled to be sold in 2017. 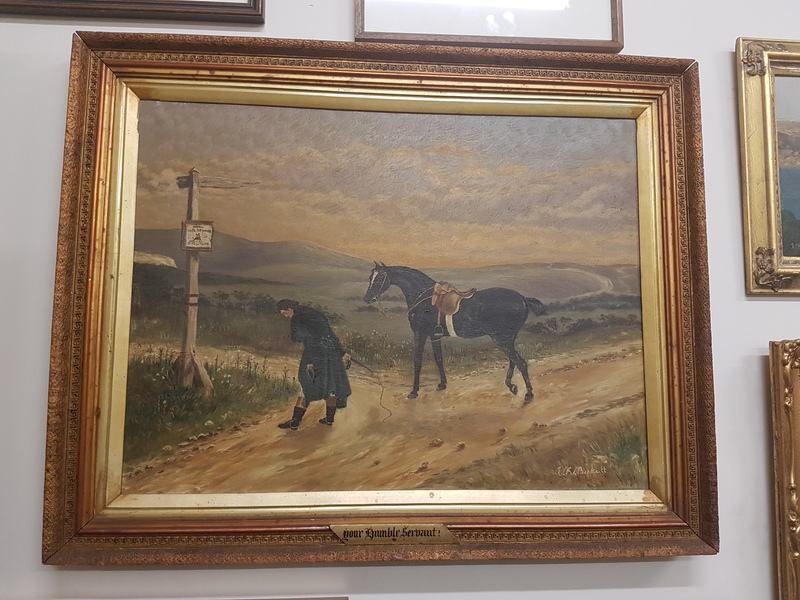 This special event to view the collection is open to current members only (membership renewed for 2017) and is for limited numbers, so please book as soon as possible to be included. Date: Wednesday, 15th February 2017 Time: 6pm to 8pm Place: 24-26 Kent Street, Millers Point, Sydney, NSW 2000 Cost: $90 per head (Drinks and light refreshments included). Article written by Fiona Rothchilds, uploaded 10 March 2017. Zombies texting should take better care.